In this eddition of the SA parkrun newseltter, participants are encouraged to get involved in our Christmas charity drive. We take a look at a parkrun in the USA through the eyes of a local parkrunner who shares his experience with us. I ask the question, “what happens to the Red 50-Club shirt once you reach your 100th parkrun?” Greenpoint and Big Bay parkrun share their recent news with the parkrun community. I’m thinking of printing and laminating a new parkrun barcode. After two years it’s looking a bit tatty and” tatty” isn’t the correct adjective for such a little marvel. I registered for parkrun back in April 2011 (Oh alright I didn’t register. Back then I didn’t know how to! parkrun founder, Paul Sinton-Hewitt did it for me.) Since then my barcode has been a passport to wonderful running adventures, travel and friendships. A136862 has been with me for nearly 90 parkruns and has taken me to 19 different South African parkruns, 3 Australian parkruns and one each in the UK and Ireland…… I am not alone, I know that there are hundreds of South African parkrunners who have also used their barcodes as their passports to parkrunning fun. Most of our parkruns have hosted foreign parkrun visitors and it’s fun to welcome parkrun runners from all over the world who use the same barcode system. Thanks to parkrun our barcodes we can monitor our improvements and remind ourselves of every run in which we have ever participated. That is why we need to encourage new parkrunners to register and print their barcodes. We don’t want them to miss out on the fun or to be entered in the results as an “unknown”. That’s the same as owning no passport and trying to travel as a stateless person. Incidentally those who have recently registered for parkrun and notice my parkrun barcode number (A136862), will be impressed by how rapidly parkrun has grown. I believe the parkrun barcode numbers are now well over 700000! 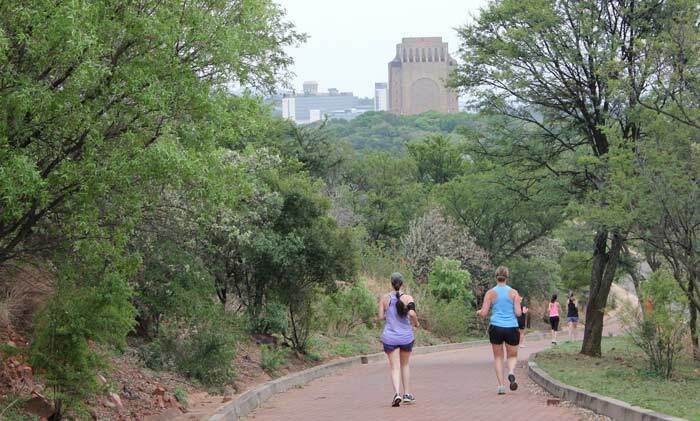 Next week we welcome Rietvlei parkrun - Johannesburg South to the South African parkrun family. Situated in the South of Johannesburg Rietvlei will answer a big demand for a parkrun in the South. Too many parkrunners in the South have had to travel long distances to enjoy a parkrun. Now they will have one on their doorstep. Toni and Shawn Mackrell and their team have devised a lovely run in the veld at Rietvlei and I have no doubt it will be a very popular parkrun. 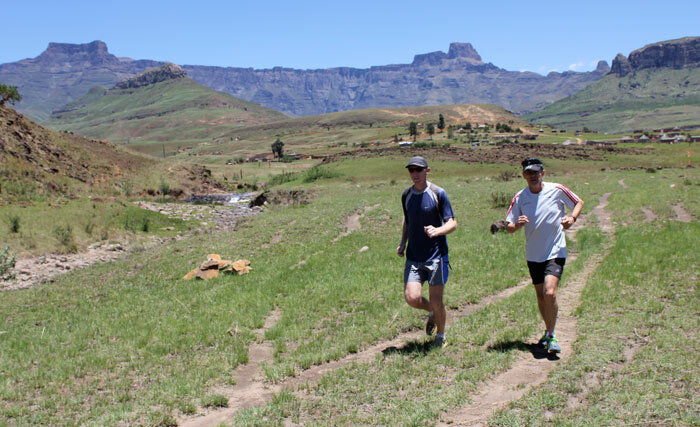 This past weekend Iain Moreshead, Gill and I travelled to the Drakensberg to meet members of the local community near Royal Natal Park who are interested in starting their own parkrun. Although we have realised we will face some internet challenges we were delighted by the beauty of this venue. The SA parkrun Board suggested that we collect toys for orphans and disadvantaged children during the Christmas period. This is purely voluntary and those parkruns which participate might want to identify where they would like to donate toys. If you have a special Childrens Charity that you are involved with please advise your Run Director. This would be an opportunity for you to manage the collection of toys or food for your charity from your local parkrun. I was on business attending a short course in Orlando, Florida, USA the week of 11 to 15 November 2013 and being a parkrun regular, I decided to check if there were any events nearby. Looking on the parkrun US website, I was pleasantly surprised to find that out of the 3 parkruns in the US, Clermont Waterfront parkrun was not too far away, about 46km from my hotel. Added to the fact that I had a Saturday morning free, this was definitely an opportunity worth exploring. So on that Saturday, the 16th November 2013, I rented a car ($100) for the journey and attended my first overseas parkrun. Upon arrival I noticed the white boards Clermont were using to present some information to newcomers, as well as a visitors white board to enter my details so I could make my presence known. Quite a nice touch! That's how I started chatting with the event director, Karen Bowler, who originally lived and attended parkrun in the UK and founded the Clermont Waterfront parkrun in her new home town in April 2013. The course itself is a lovely circular, flat run along the paved trail of Lake Minneola, which starts and finishes outside the Clermont Historical Village. The weather on the day was overcast and a bit humid ('damp' as per the info white board), but still cool enough for a good run. Thanks to the flat course and lower altitude compared to my home parkrun in Johannesburg, I put in a personal best time of 21:33, coming 3rd overall out of a field of 28 parkrunners. After my run, I had a nice chat to the organisers and discussed parkrun challenges, tips and lessons learned, after which I raced back to Orlando to pack and catch my flight back home in the early afternoon. All in all, I had a great morning and really enjoyed my excursion, banking a PB in the process. Thank you Clermont Waterfront parkrun for a beautiful venue to run! I hope to visit again soon! For all of those parkrunners with an opportunity to travel, I highly recommend visiting a nearby parkrun and connecting with like-minded individuals. Just the other day, I strange question entered my mind. Reaching your 100th parkrun status is such an achievement. Weeks of dedicated parkruns involving an early start to a Saturday morning, ultimately culminating in the reward of a black 100-Club T-shirt. In an attempt to display your commitment and dedication, you would wear it with pride and show fellow parkrunners that you really are a 'serious' parkrunner. The question then was, what happens to the red 50-Club shirt that you worked so hard for? Does it go into retirement? Do you hang it above the bar? Do you give it away to a charity? Will you still wear it? Perhaps you will dust furniture with it…? Would it not seem a bit disappointing to wear a '50' rather than your newest trophy for others to bask in your 100-greatness? To answer this, I posed the question to a few of our 50-Club members, "What will you do with your red 50-Club shirt once you are awarded your black 100-Club T-shirt?" The first response, from Philip Gray, was a rather entertaining solution to get the most out of the shirts by wearing the black over the red one. George Taylor suggested modifying and stitching the shirts to combine the black top with a bottom red or wear the red shirt so much that it falls apart before the time he reaches his 100th parkrun. A third parkrunner, Tracy Rankin, showed little attachment to her shirt and simply said, "Give it to the kids for dress up." Of course I felt that Bruce Fordyce may offer a solution to the dilemma of what to do with the 50-Club shirt once he reaches 100 parkruns. Bruce said that he would wear his red '50' for training runs but not to parkrun as the 100 had a higher status. There you have it, whether you decide to keep wearing your 50-Club, 100-Club or 250-Club T-shirt, do it with pride and motivate others to join in the parkrun experience! Now that it’s summer, try dress as lightly as possible. Protect yourself from the sun with clothes, sunglasses, a hat and sun block. Moisture-wicking, technical fabrics are designed to draw sweat away from the skin and this could help with your comfort while running. Don’t forget – with the Discovery Vitality HealthyGear benefit, you can get up to 25% cash back on adidas running gear at adidas and Totalsports! Make sure you eat properly after a run. It’s important to have a recovery plan. Eat a recovery snack containing carbohydrates and protein within an hour of completing a training run or race. We have had some great feedback from our parkrunners over the last few events. They are really enjoying the new route and the banners add a festive air to the event, even in the rain! They are really starting to pitch in on the volunteering side as well now. We are seeing a new trend; parents are starting to organise their children's parties/play dates around parkrun. The whole group comes to run before they get to have their party (I supposed to exude some energy!). We have been bombarded by three groups of little boys so far, thank goodness for a funnel manager. We are looking forward to better weather this Saturday. Have a great week! 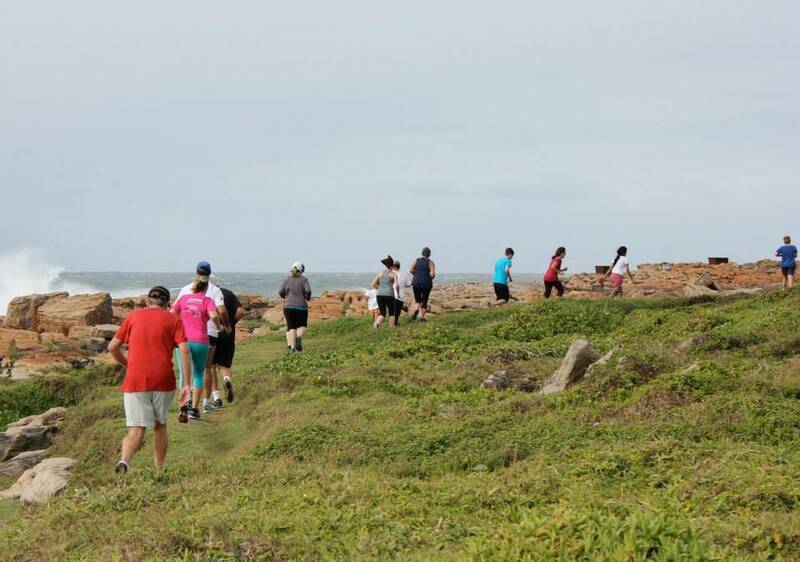 Greenpoint parkrun kicked off in the middle of Cape Town’s rainy season, which may have been a blessing in order to start with manageable numbers. The first run kicked off on 20 July 2013 with 105 runners, tribute to Suraj Valand and wife Tanya, who have since emigrated to Germany. Since then the growth has been quite steady through the rest of the winter season, and we currently have 2178 registered members. 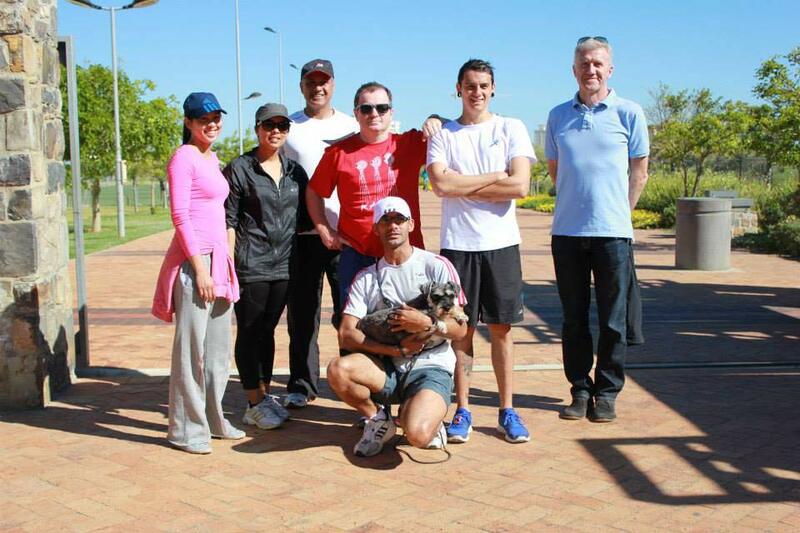 Greenpoint parkrun now has a core team consisting of Ganief Galvaan, Ryan Short, Haley Gray and Shane Kiernan. The course is centered around the historic sporting area of the Green Point Common, incorporating the new Athletics Stadium, the iconic Cape Town Stadium, Green Point Cricket Oval, Hamiltons Rugby Club, Metropolitan Golf Course, Hellenic Soccer Club, Tennis Precinct, and of course the new Urban Park providing the majestic final 1.5km. Logistics have forced us to make a slight adjustment to the route, and this is in the process of being formalized. We are also expecting the parking area at the Athletics stadium to be opened soon, which will sort out some of the parking issues we have experienced. One of the great features of Greenpoint parkrun is the high numbers of foreign parkrunners participating every week. This past week we had parkrunners from Brazil and the UK, with more than 100 parkruns behind them. A special mention should go to Tim Price from the UK who celebrated his 50th parkrun in style by being first over the line in a time of 17:17. Well done Tim! The true community nature of parkrun is aptly demonstrated by the Malick family, where mom, dad and 9 children are amongst our most loyal participants. We also have keen support from some of the surrounding Athletic Clubs in the form of participation and volunteering. 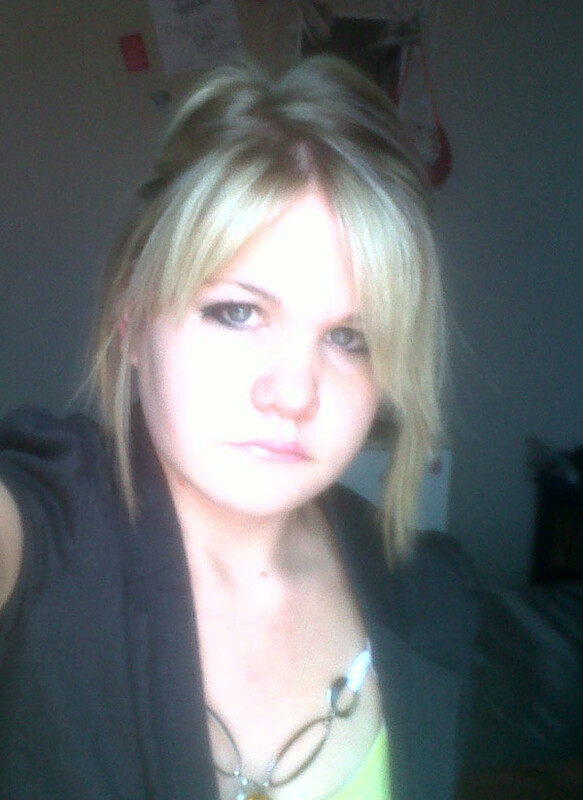 Our core volunteer group coordinated by Haley also plays a key role in the success of our runs. With the weather clearing now for summer, and our team and processes firmly in place, we are looking forward to hosting the kind of numbers we expect to hit us over the December holiday period. 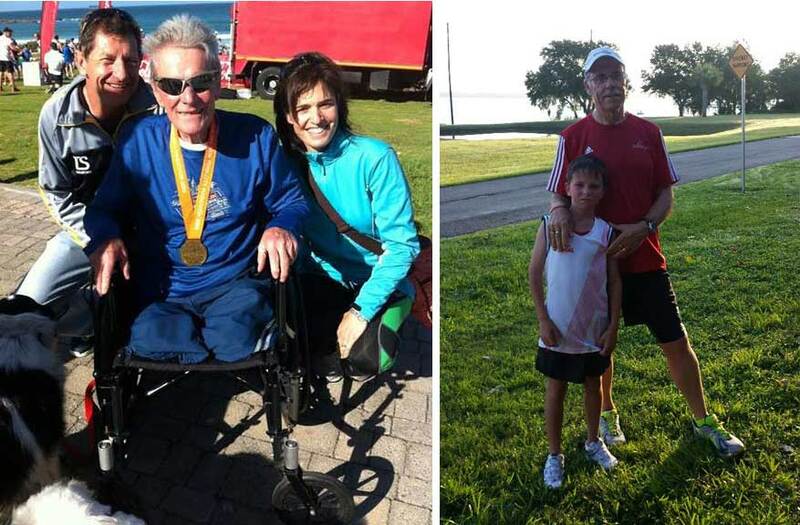 Big Bay parkrun’s most regular volunteer, Don Oliver, recently made the long haul across the Atlantic to participate in the grueling New York marathon. In spite of an injury en route, he held the SA flag high, completing the event in 4hours 4minutes and bringing home his medal. Congratulations Don, you are a true inspiration to many! Charles (Cass) Castleton from the Brighton parkrun in the UK recently embarked on a parkrun “world tour” running a parkrun in 11 countries on 4 different continents. 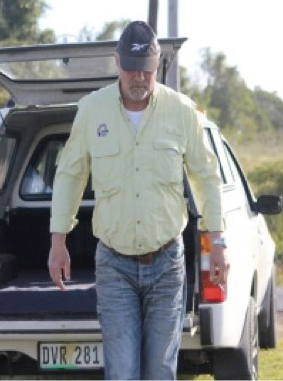 Big Bay was privileged to be selected as the SA parkrun on his tour. It was wonderful having Cass and well done on an amazing effort and achievement. We are confident that Big Bay was one of the most scenic parkruns on your list! As summer finally arrives in Cape Town, the numbers are growing, and so is the vibe. We look forward to hosting many upcountry visitors over the holiday season if you’re planning a trip to the Mother City. I recently received my parkrun "Official Volunteer" kit for my involvement with Erita and Pete at Shongweni parkrun. I feel really humbled to join the greater parkrun organisation and wish to honour you for your vision in establishing parkrun in South Africa. The rate of expansion in venues is fantastic, a testimony to the continuation of transforming the vision into reality. What do you like about volunteering at parkrun: Getting out to support my wife and all the other participants and especially the after run socialising. How can we improve volunteering at parkrun: It’s as good as it gets. 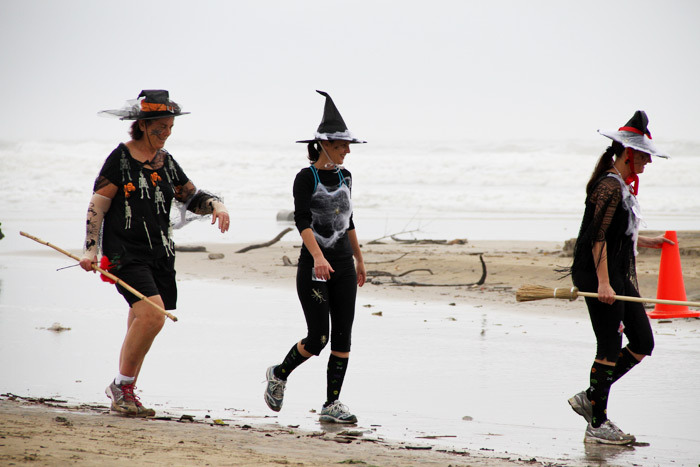 In this edition of the SA parkrun newsletter, Halloween themed parkruns provide entertainment for the whole family. Junior development runners visit parkrun to showcase young talent and North Beach celebrates their birthday. Delta parkrun gears up for its second birthday bash. Yes the time has flown past and we can hardly believe that this Saturday (9th November) Delta Park parkrun and parkrun South Africa will celebrate their second birthday. 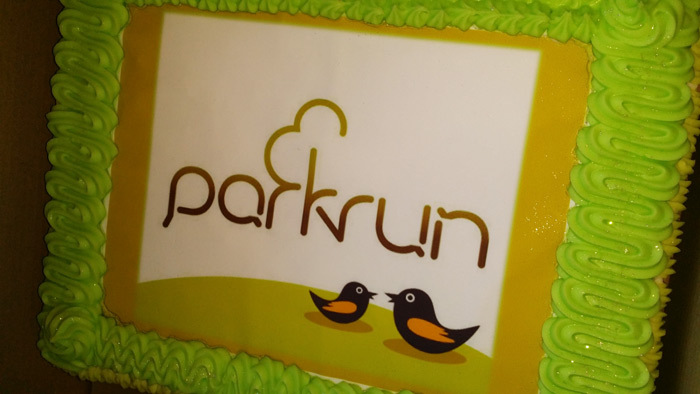 Two years ago 22 newly registered parkrunners ran the inaugural Delta Park parkrun. Now Delta parkrun regularly attracts over 300 parkrunners and there are now close to 37000 parkrunners in South Africa. To celebrate the occasion we are having a fancy dress parkrun morning at Delta Park on 9th November. It should be a lot of fun and our three main, adidas, Blue Label Telecoms, and Discovery/Vitality will all be there sponsors will be present. There will be prizes for the best dressed parkrunners. We are pleased to announce a media partnership with Modern Athlete Magazine running publication. Each month you will be able to read up on a couple of local parkruns in your area as well as catch up on other great running stories. Part of the partnership also entitles all parkrunner’s to receive the magazine digitally to your email or tablet every month free of charge. To activate your subscription simply click Modern Athlete. If you’d like to share your parkrun experience feel free to pop them a mail and who knows – you may be published in the next edition! Show-case your running talent, SA CAN RUN" is a personal call to every South African to activate themselves and their communities. If you feel that you have talent and would like to participate, we encourage you to join the SA CAN RUN community. Endurocad is activating South Africans through the SA CAN RUN community in order to both attract and recognize running talent. South African endurance athletes now have the infrastructure and support to get ready for RIO. A first of its kind on the continent; ENDUROCAD aims to become the most proficient high performance endurance sports academy in Africa. Together with its partners, it offers a complete suite of services to develop; support and professionally manage world class distance runners. ENDUROCAD is a non-profit company (NPC) which provides the opportunity for South African endurance athletes to improve their times, make a living from their talent and to build a brand and business for life after sport. Incidentally Elana and her husband Jaques are the event directors for Root 44 parkrun in Stellenbosch. They use parkrun to identify and train talented athletes. Remember to drink up – it’s important to drink enough fluids. Whether you’re running in hot or cold weather, water is lost through sweat and respiration. Good nutrition is also vital. Keep a log of daily calories, the type of workouts you do and how you feel during and after the run. You will see whether you are eating enough to keep your body strong. Those of us who ran last Saturday’s Uvongo parkrun would have been able to draw a sharp contrast between this event and the inaugural Uvongo parkrun that took place 26 Saturdays ago. At the inaugural parkrun, 26 hardy souls stood in pouring rain listening to the Deputy-Mayor’s speech. Last Saturday, close to 150 parkrunners participated on a glorious sunny morning. Congratulations to Jason, Nicci, Willie and the team at Uvongo parkrun for the way they have grown this event. It has a warm community feel about it and they can be truly proud. We heartily recommend Uvongo parkrun to anyone who may be in the South Coast on a Saturday morning. 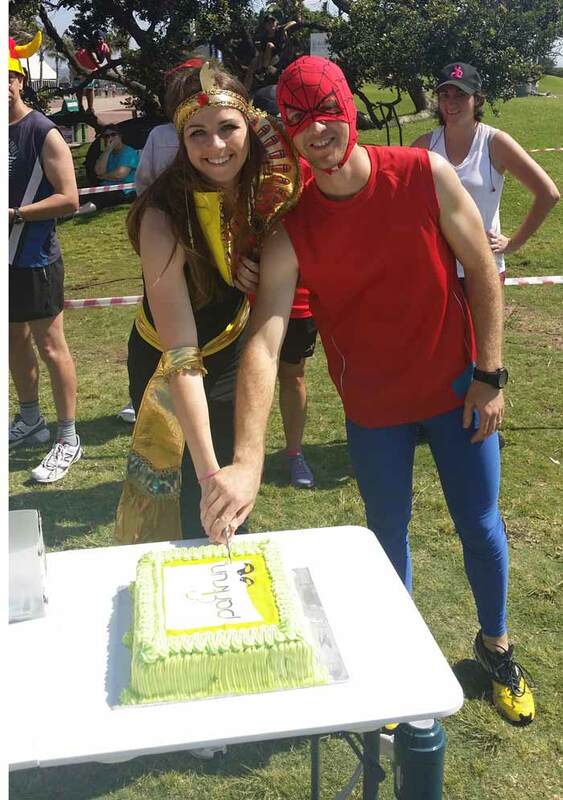 The 26th of October marked our very first birthday at North Beach parkrun – and we celebrated in STYLE. 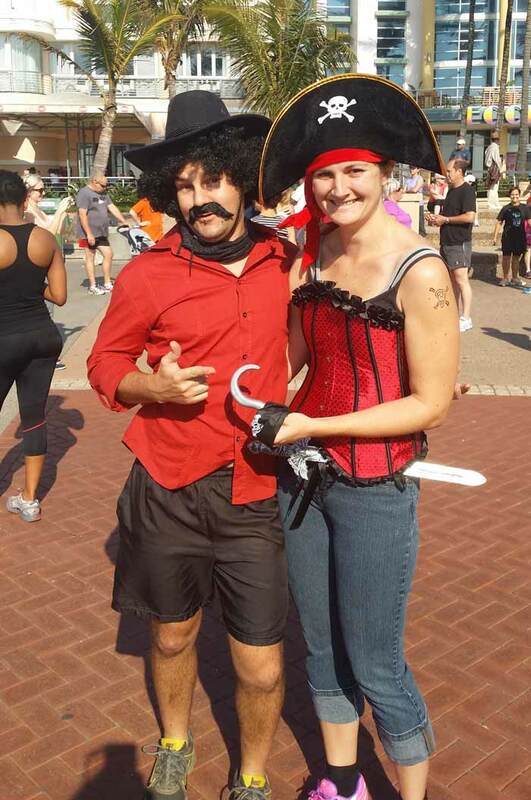 Our parkrunners came geared up in their most frightening Halloween gear and ran in full Halloween spirit. Even our event director (or should I say SPIDERMAN) embraced the fun and joined our runners for a beautiful, sunny 5k. After the run, everyone relaxed on the Suncoast lawns with their free ice cream and watched the lucky draw, where 3 of our spooky families walked away with awesome prizes. Runners sang “Happy Birthday” while Jenna and Stefan cut into our delicious birthday cake. With a record number of runners totalling 474 parkrunners, our first birthday set the standard for an exciting year ahead. 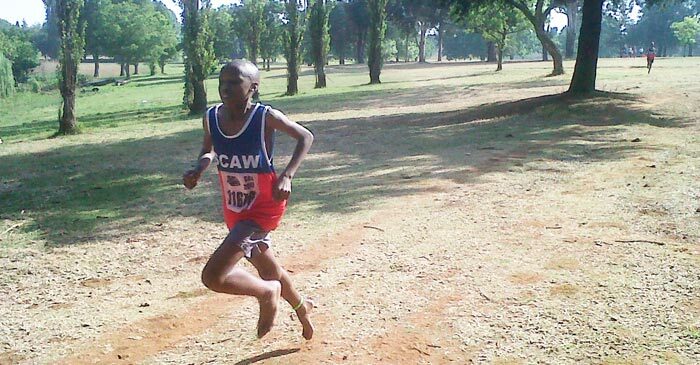 At Roodepoort’s event number 77, we invited a team of junior development athletes to run our parkrun. These youngsters breezed through the course and took the first eight finishing positions with many others finishing in the top thirty positions. It is great to see that parkrun affords our athletes an alternative opportunity to costly road events. 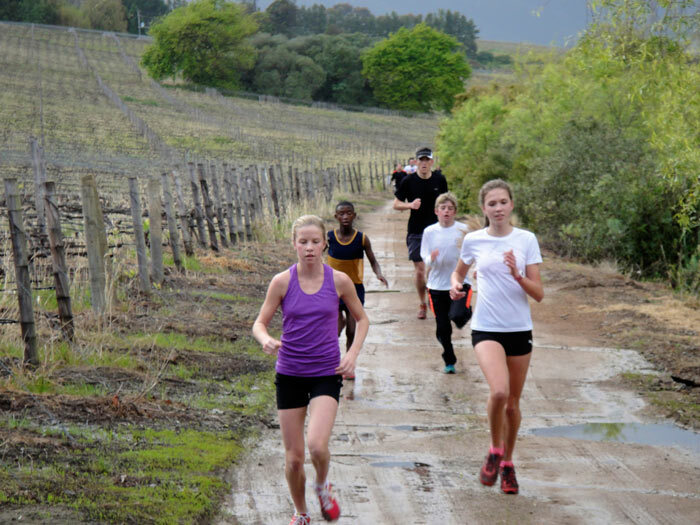 Young talent is being nurtured through South Africa’s parkrun events, so keep your eyes peeled! Although many runners may be intimidated, especially when contemplating parkrun for the first time, it is important to remember that the fastest runners and the slowest walkers are all most welcome at parkrun. The events cater for everyone and event directors will wait for every last person to finish before packing up - that is what parkrun is all about! Most memorable or funniest parkrun moment: The event director, David’s bachelor party!